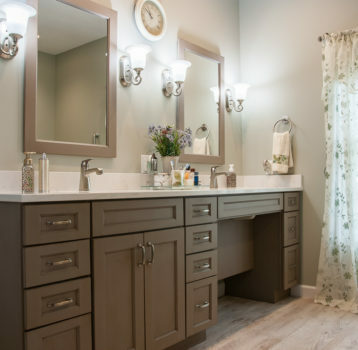 Showplace Wood Cabinets in a beautiful Reflecting Pool color, inset style doors and raised panels. The Onyx Collection double bowl sink and matching shower panels. Accent tile by Daltile, City Lights Series in South Beach. 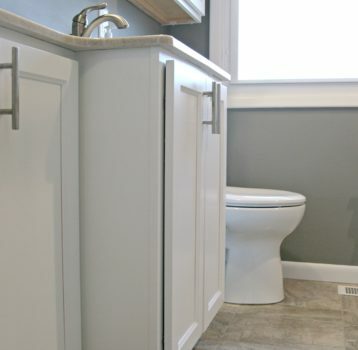 Luxury vinyl tile floor in a neutral sandy color. 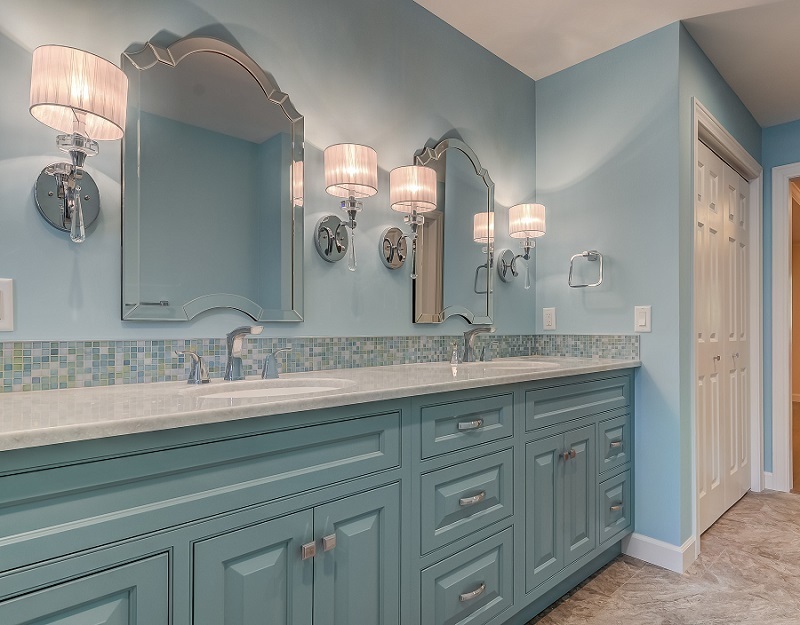 These are the blues and greens of beautiful ocean water, and now adorning this open master bathroom. 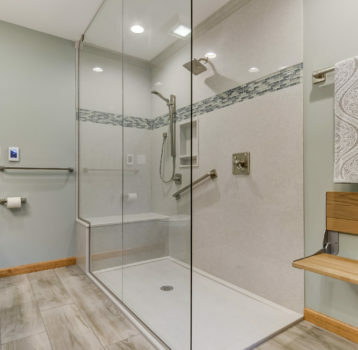 Special touches throughout but most notably, the custom door-less shower with floor to ceiling glass shower panels, half wall allowing natural light in the entire space as well as showing off the beautiful accent tile that flows from shower to backsplash of countertop. Custom shower bench is equipped with nearby handheld spray, diverter valve and shampoo niche. The Onyx Collection shower base and walls look great and will make for very easy cleaning. Mirrors and pendant lights add the extra sparkle to this already special space.